Bands can become popular by participating in something that they never imagined would take them to new heights. Maybe it’s agreeing to play Woodstock, featuring their songs in television or film, or perhaps lending a track to the next wannabe American Idol to be covered. Sometimes the band is appreciative of the new found fame and notoriety, other times they’re embarrassed for being a part of it. One could argue today’s band had already hit it big, but being the icon of a film took it to a whole new level. The San Francisco jazz-funk band Clover was recording albums and gaining fans in the early 70s. They would split a couple years later with the keyboardist moving to the UK and becoming the backing band for Elvis Costello. The other half, a guy going by Huey Louis at the time, decided to stick around in California, and begin playing harmonica for the band Thin Lizzy in their touring. The two halves of the original band eventually reconnected in the late 70s, but not to the reception they thought they’d get. The big problem was competition—a newer band was making very similar music to their style in the same geographic region. With the newly spelled Huey Lewis getting a singles contract from Phonogram Records, Huey decided to approach the rival band and convince them to form a super-group. They agreed on the merger and were originally called Huey Lewis and the American Express. After one member admitted to disliking the name, and the possible trademark infringement from the credit card company, Huey Lewis and the News was born. While sales were slow for their first two records, that all turned around in 1983 with the release of their album “Sports,” selling over 10 million copies. That led to 1985 and the band being featured in the film ‘Back to the Future.’ With the movie being a huge success and the band being such a big part of it, their popularity skyrocketed. Today we focus on the follow up of all that success, and the album Fore!, which was released in August of 1986. Featuring two number-one hits and five top-ten Billboard Hot 100 singles, the album would be yet another notch in the band’s belt. Having sold over 7 million copies itself, it was certainly not a let-down to all the many praises Huey Lewis and the News had generated. The overall rock and doo-wop style of the band didn’t change, so fans were happy to receive another album right in their comfort zone. There certainly isn’t anything of real substance to this record, but it’s unquestionably catchy. In fact, most of their music has that toe-tapping, sing-along quality, which can sometimes be a nice change of pace. I’ve heard if you were a teenager during this time, Huey Lewis was the pop sensation of the time that most were a bit embarrassed to say they enjoyed…maybe not unlike the boyband sensation that swept pop music in the early 2000s. The album was featured in the 2000 film ‘American Psycho’, which has been credited for exposing the band to the next generation of music lovers. While the band distanced itself a bit from the movie due to its graphic nature, there is no question it added another level of awareness for the group. 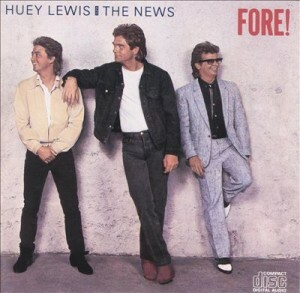 Huey Lewis and the News still tour to this day, but haven’t put out an album since 2010. While their newer stuff might be just as fun, toss in this throwback today, and order a Pepsi Free – and it will only cost you five bucks.